How to E-file Tax Return? 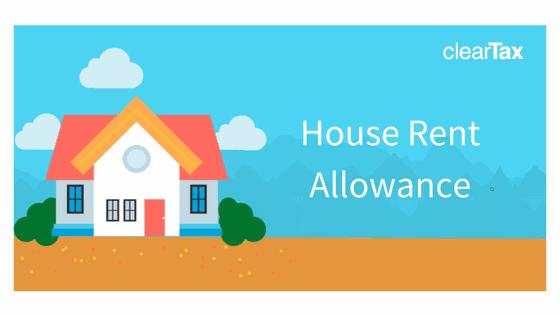 Salaried individuals who live in a rented house can claim the House Rent Allowance (HRA) to lower taxes. This can be partially or completely exempt from taxes. The allowance is for expenses related to rented accommodation. If you don’t live in a rented accommodation, this allowance is fully taxable. How is Tax Exemption From HRA Calculated? Can I Claim HRA and Deduction on Home Loan Interest as well? When Do You Need Landlord’s PAN? What if my Employer Doesn’t Provide me With HRA? How to Claim Deduction Under Section 80GG? How to Claim HRA When Living With Parents? 1. How is Tax Exemption From HRA Calculated? 2. Can I Claim HRA and Deduction on Home Loan Interest as well? Yes, you may claim the allowance as it has no bearing towards your home loan interest deduction. Both can be claimed. Try out our free HRA calculator to determine your HRA exemption. This calculator shows you on what part of your HRA you have to pay taxes – i.e. how much of your HRA is taxable and how much is exempt from tax. 3. When Do You Need Landlord’s PAN? If you have taken a house on rent and are making a payment in excess of Rs 1,00,000 annually – remember to obtain the landlord’s PAN or you may lose out on the HRA exemption. Landlords without a PAN must be willing to give you a declaration refer circular No. 8/2013 dated 10 October 2013. Tenants paying rent to NRI landlords must remember to deduct TDS of 30% before making the payment towards rent. 4. What if my Employer Doesn’t Provide me With HRA? If you are making payments towards rent for any furnished or unfurnished residential accommodation occupied by you, but do not receive HRA from your employer, you can still claim the deduction and that would be under Section 80GG. c. You or your spouse or your minor child or HUF of which you are a member – do not own any residential accommodation at the place where you currently reside, perform duties of office, or employment or carry on business or profession. In case you own any residential property at any place other than the place mentioned above, then you should not claim the benefit of that property as self-occupied. That other property would be deemed to be let out in order to claim the deduction under section 80GG. Mr. A, employed in Delhi, has taken up an accommodation on rent for which he pays a monthly rent of Rs 15,000 during the Financial Year (FY) 2017-18 i.e. Assessment Year(AY) 2018-19.. He receives a Basic Salary of Rs 25,000 monthly along with DA of Rs. 2000, which forms a part of the salary. He also receives a HRA of Rs 1,00,000 from his employer during the year. Let us understand the HRA component that would be exempt from income tax during the FY 2017-18. Therefore, in the above example, the entire HRA received from the employer is exempt from income tax. 6. How to Claim Deduction Under Section 80GG? *Adjusted Total Income means Total Income Less long-term capital gain, short-term capital gain under section 111A and Income under section 115A or 115D and deductions 80C to 80U (except deduction under section 80GG). 7. How to Claim HRA When Living With Parents? Let’s understand this with an illustration. Samiksha works at an MNC in Bangalore. Her company provides her with house rent allowance. But she doesn’t live in a rented accommodation, but with her parents. How can she make use of this allowance? Samiksha can pay rent to her parents and claim the allowance provided. All she has to do is enter into a rental agreement with her parents and transfer money to them every month. This way Samiksha can make a nice gesture and give back to her parents, and two, save some taxes. But remember: Samiksha’s parents will have to show the rent she paid on their income tax returns. But as a family, you will be saving up.